Perfumes, dioxins ... Some chemicals detected in disposable diapers can present "risks" for the health of babies and will have to be eliminated by manufacturers as soon as possible, the government demanded Wednesday. According to an opinion of the ANSHS published Wednesday, there is "no epidemiological data to demonstrate an association between health effects and the wearing of diapers". Clearly, no proof that disposable diapers worn by 95% of French babies are harmful. This opinion demanded by the government in January 2017 after an article of 60 million consumers "does not highlight serious and immediate danger", also summarize the Ministries of Health, Economy and Ecological Transition in a statement common. "You can not rule out a risk." Nevertheless, "we can not exclude a risk (...) since we observe an exceeding of the health thresholds for a number of substances," says AFP Gerard Lasfargues, Deputy Director General of ANSES. These are two flavors (butylphenylmethylpropional and hydroxyisohexyl 3-cyclohexene carboxaldehyde), as well as certain polycyclic aromatic hydrocarbons (sometimes carcinogenic), dioxins or furans. For its evaluation, the "first" of its kind at the global level, ANSES has used the analyzes of the Joint Laboratory Service (which depends on the repression of DGCCRF frauds) and the National Institute of Consumers ( which publishes 60 million consumers). While the industry has criticized 60 million consumers for simply finding the presence of chemicals, the agency has assessed their potential risk "under realistic conditions of use." Glyphosate in the analyzes. For example, some pesticides such as glyphosate, which are present in the analyzes, are not on the list of risk substances. But for those which exceed the toxicological values ​​of reference, ANSES recommends "to eliminate them or to reduce as much as possible their presence". A recommendation immediately taken over by the government. 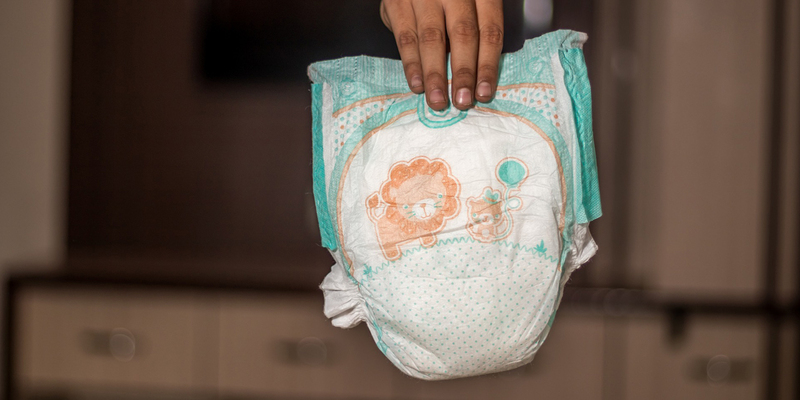 "Ministers require manufacturers and distributors to make commitments to eliminate these substances from baby diapers by 15 days," the statement said. First target, perfumes, the only of these chemicals to be intentionally added by the industrialists. The manufacturers, convened Wednesday morning in Bercy, will have to re-evaluate "the use of certain substances added intentionally". The opinion of the ANSES is based on analyzes of 23 layers "among the most used", but it does not cite any mark, the data having been anonymized, explains Gerald Lasfargues.